* When you are learning and practicing your hypnosis techniques, you need to be in a quiet, comfortable, fully supported and relaxed position, with nothing else going on nearby, *undisturbed*, and completing your practice *as directed* in your written materials. * All of this allows full relaxation conditioning for your body, which then allows you to enter hypnosis more easily and attain a somnambulistic state of hypnosis, which allows your subconscious mind to focus completely on the hypnosis suggestions, accept them and create Hypno-anesthesia. Yes, it really does! 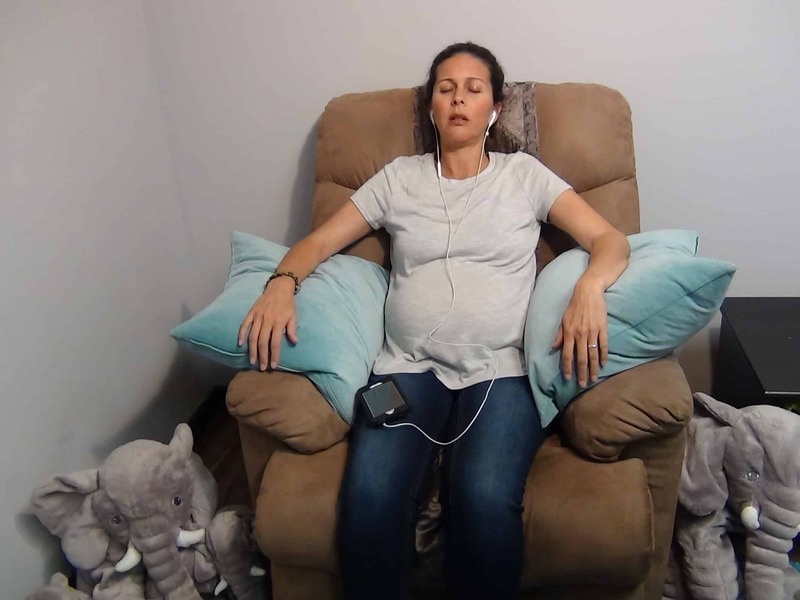 This also creates the re-training of your inner mind to perceive childbirth itself and your birthing sensations in a completely different way – more comfortably. * With enough Hypnobabies hypnosis practice and audio track listening (as directed), your inner mind can absorb the post-hypnotic suggestions and your internal software will become fully updated. Due to this “encoding”, your body and mind can create automatic responses which can be utilized during childbirth very easily. * For this to happen, *all* of your Hypnobabies training and your practice is vital, and must be done as is described here – quiet, comfortable, fully supported, alone, undisturbed, and completed as directed. Doing so requires some planning and commitment on your part, and is worth its weight in gold! * When your baby’s birth day has arrived, if you have completed your Hypnobabies hypnosis preparation in the manner described above, training and conditioning your body and mind for an easier birthing, you can *use* your new Hypnobabies software during your Birthing Time differently than when you were “in training”. * All of your established/entrained Hypnobabies techniques will now be ready for use, and when you use them during childbirth, you can keep your Lightswitch in Off or Center. In your Birthing Time you can move around, change positions and communicate easily while in Center, still deeply in hypnosis because of all of your previous Hypnobabies training and practice. * Eyes-Open Childbirth Hypnosis means that you can easily have your eyes open *in-between* birthing waves and not lose focus, emotional security or Hypno-anesthesia, therefore remaining calm, relaxed and more comfortable. *During* your pressure waves, your eyes will be closed for the deepest hypnosis. * You need to hear or use a gentle, steady stream of Hypnobabies hypnosis cues, techniques, audio tracks, scripts or Birth Prompts during your Birthing Time for the best and most powerful physical comfort and emotional confidence. You can listen to whatever Hypnobabies audio tracks or Birth Prompts you desire, or listen to Hypnobabies Relaxation Music (only; no other music so you don’t disconnect your hypnotic cues) and use your hypnosis techniques and cues in your mind by yourself. 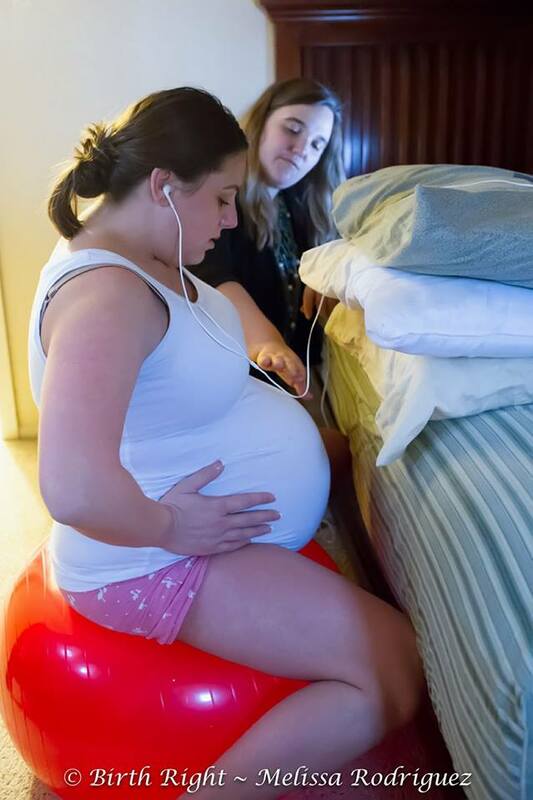 * You will always be in hypnosis during your Birthing Time; your Hypnobabies Lightswitch will either be in the Off Position or in Center, so at the beginning of your birthing waves, you’ll switch to Off and then you can switch to Center when you want to. You can go back and forth throughout your Birthing Time, and … always keep using your Hypnobabies cues and techniques – they only work when you *use* them!